We’ve got spray paint and a kickass stencil. 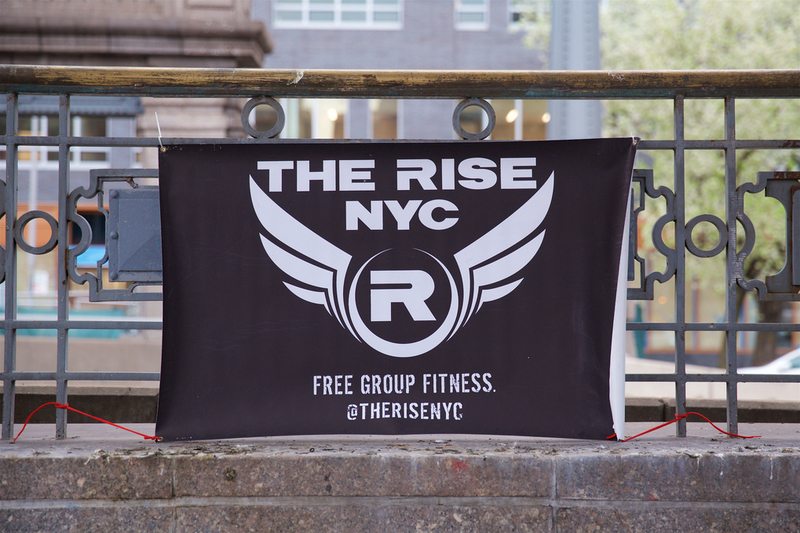 We’ll bring it to tomorrow’s Union Square workout. Bring your own threads and we’ll combine forces to create more of these. You will have to keep going to The Rise, though, to get guns like this guy.